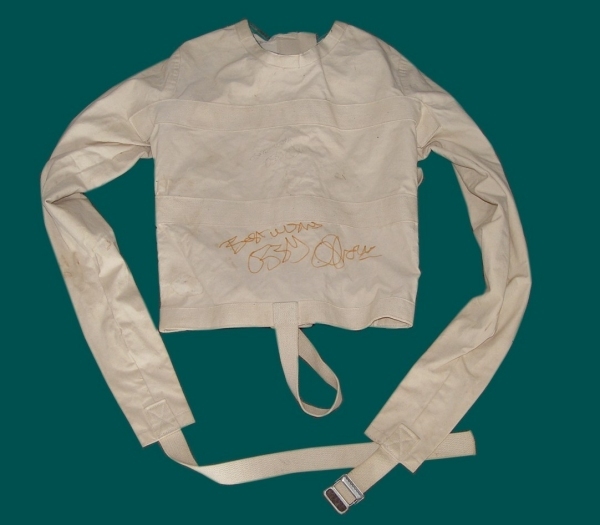 Ozzy Osbourne Autographed Posey Straitjacket Posey Friction Buckle Jacket - Size Medium This jacket was given away by a Duluth, MN radio station back in the early 1980s. Ozzy autographed it for a lucky fan. The jacket is an early version of a Posey friction buckle jacket. Thus it lacks the arm front loop and the familiar color band at the neck.